Printed from http://www.bodytalksystem.com//learn/news/article.cfm?id=1076 on Apr 20, 2019. When I became a mother, I was very interested in finding children's books with strong and empowering learning messages. I wanted to teach my children just how much wisdom, power, and potential resides within them. In my search, I found a few good books, but it required some real digging. Through this discovery, I realized that I had a message I could share to empower other parents and their children. After a cosmic hammer experience with cancer at the age of 21, I began to realize there was a big piece I had been missing and ignoring within myself. Embarking down a new road of consciousness-based healthcare (ahem, BodyTalk), through an inward journey of deep introspection and inner evolution, I realized a profound message that needed to be shared. I began teaching MindScape in 2015, which led me to realize the untapped potential of the mind within each of us. In having my own children and working with child clients, I realized the importance of nurturing these intuitive gifts. Introducing ... Your Inner Compass That Could. 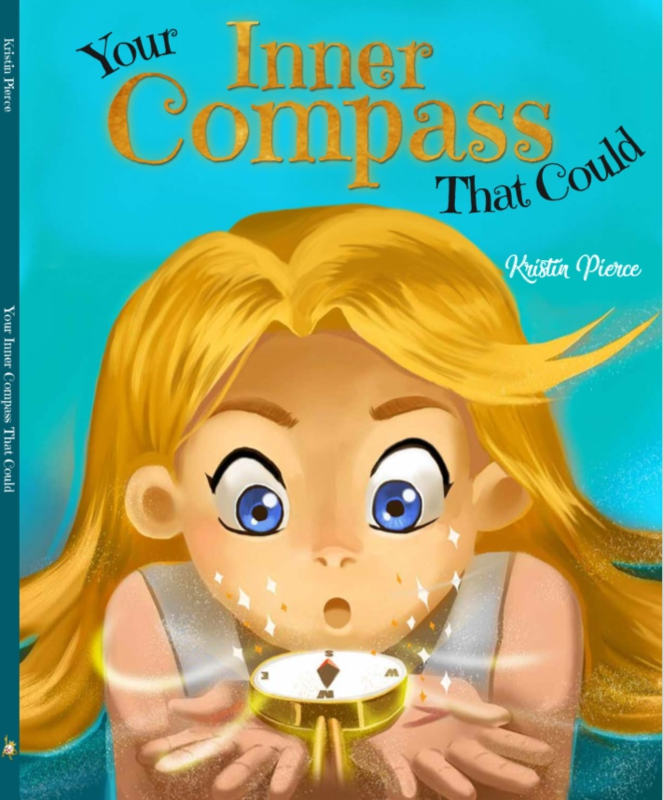 Inspiring, whimsical, and brightly illustrated, Your Inner Compass That Could is a wise, empowering tale that provides a fresh perspective on navigating the magical journey of life. Rhyming verse encourages readers of all ages to connect within to let your inner wisdom lead the way to true fulfillment, while imparting messages of self-empowerment, self-growth, and self-confidence. It is a book is for anyone who has ever had a gut feeling, a strong knowing, or felt a spark of passion deep inside. It is a story that will inspire and encourage you to welcome the profound wisdom from your Inner Compass into your life. It is never too early for children, or too late for adults to realize that they are truly magnificent beings with unlimited potential and are equipped with an unique internal compass to help guide their way! This book is recommended for children aged 4 to 10, although there are many takeaways for people of all ages. It is complete with Reflection Questions at the back of the book, along with a FREE Online Parent & Teacher Resource to help parents, children, teachers, and students welcome and understand the messages from their own Inner Compass. Your Inner Compass That Could is available for purchase through many online retailers like Amazon, Chapters Indigo, and Barnes & Noble. To find out more and to order your own copy, visit www.InnerCompassBooks.com/buy. Stay tuned for my second children's book coming this fall, called Mayva O'Meere, Creationeer, about a wildly creative little girl and her journey of self-discovery. Kristen answers five questions we like to ask all our contributors. If I could be doing anything, I would be up in the quiet morning of dawn after a walk on the beach, sitting with a nice cup of tea and my notebook, filling pages with inspiration from my soul that opens my own mind before my family greets me with their wake up smiles. That or else being on a plane to teach MindScape somewhere brand new or adventuring and creating with my kids. Being on a plane gets me in a creative zone like none other. This is a good question that makes me wonder why I would have to change my name. I'm not real attached to my name, but I am more attached to my initials, as KP has been my nickname for longer than I can remember. So I'd choose to keep my initials--it was one of my prerequisites to dating someone, is that my boyfriends had to have last names starting with P--haha kidding, but subconsciously it did work out that way. So, back to the question, I don't know what I would choose but I would keep my initials. One of the fun things in writing children's books is that I get to name the characters, which is fun and feels like less pressure than naming a human! There have been so many epiphany-evoking tidbits of knowledge that have surfaced through the courses that I've attended, or the recommended books, etc. that I'm not sure I could choose one in particular. The concept of mirroring and that there are no limits except the ones you believe are big ones. I think more than spoken advice, the best advice I was ever shown was through action--having a volleyball coach who believed in me, encouraged me, built me up, and challenged me to push my perceived limits. That has had a greater impact on my life than any words. I am a quote junkie, so I have a lot, but my favorite is from Alice in Wonderland: "Sometimes I've believed as many as six impossible things before breakfast." This quote reminds me to dream big, think outside the box, imagine new possibilities, and to not believe everything I think. It is very freeing and the best daily reminder for me. My other favorite is "Don't ask what the world needs. Ask what makes you come alive, and go do it. Because what the world needs is people who have come alive." (Howard Thurman). There are so many reasons! BodyTalk and the Life Sciences are such empowering and awakening tools, which I feel is the best part. I love BodyTalk because it shows people what is happening beneath the surface of the body's symptoms. It also can translate some of what the body is saying into understanding and awareness. It gives a holistic and mind-blowing modality for people to turn on the lights and initiate healing in a completely empowering way. MindScape is my jam--in case it wasn't obvious. The reason MindScape is so incredible to me is that it shows us our belief systems that actually don't need to be limiting us at all. It continually blows me away what can change when we are using MindScape and working through limiting beliefs that aren't and never were truths. The possibilities are limitless, and it never ceases to amaze me the real-life magic that is waiting for us to unfold. Kristin is a self-awareness educator whose mission is to empower others to deconstruct their self-limiting beliefs that are keeping them small and stuck in order to rise to their potential, come alive, and impact the world. She is constantly asking questions, challenging old ways of thinking, stretching her comfort zone, dreaming big, and inspiring others to think outside-the-box. 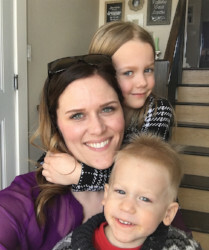 Kristin is the founder of Inner Compass Academy and Inner Compass Books, based in Warman, Saskatchewan, Canada where she is inspired to share her empowering message of connecting with one's Inner Compass. Kristin is a MindScape Instructor, an Advanced Certified BodyTalk Practitioner, a BodyTalk Access Trainer, and a Registered Massage Therapist. She holds a Bachelor of Science in Sport Medicine from Mercyhurst College in Erie, Pennsylvania. Visit www.InnerCompassAcademy.com or www.InnerCompassBooks.com to learn more.